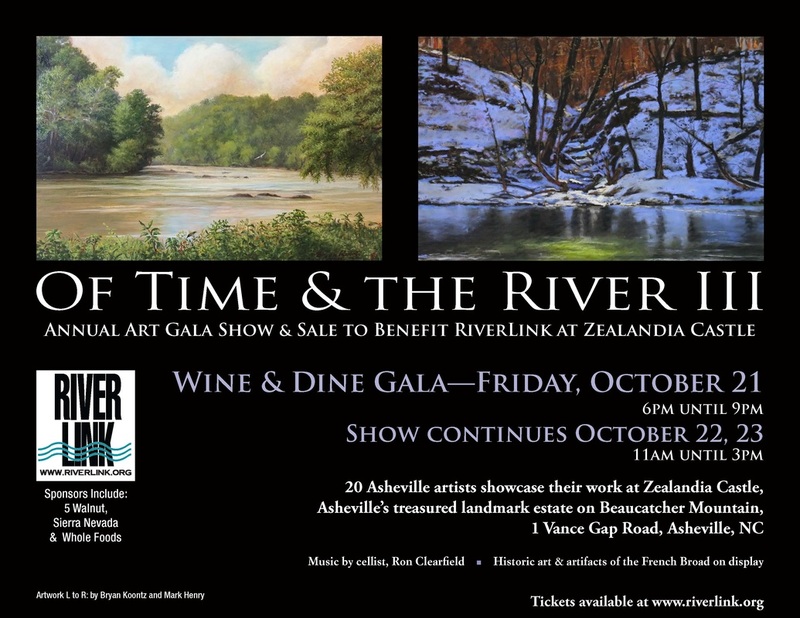 I'm looking forward to the third annual Of Time and the River show, a benefit for Riverlink. 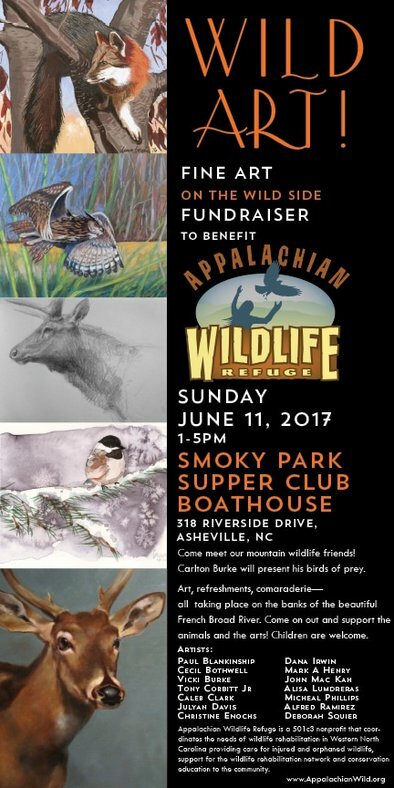 All work from 20 artists are based on the French Broad River, many painted on location. For more information, visit Riverlink's website or Of Time and the River's website. 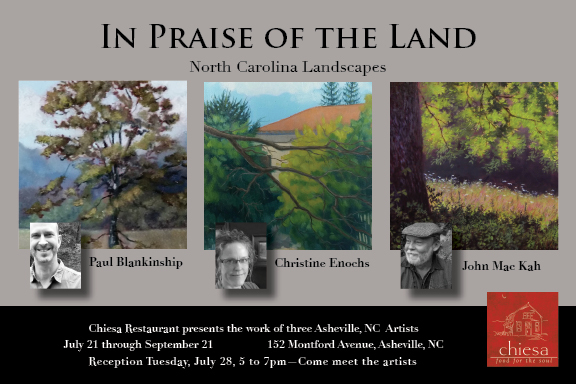 I am excited to have just hung paintings, along with John Mac Kah and Paul Blankinship, at Chiesa restaurant in Montford. The show will be up through September 21, but the opening reception is Tuesday, July 28, from 5-7. The cozy Italian restaurant is in a former church, and is a lovely space, with homemade pasta and now with beautiful art on the walls. You may have noticed that my last name is different. I have finally resumed my original last name after borrowing one for a number of years. Of course, as an artist, there are extra challenges involved in this name change situation. As my name is my brand, I am reluctant to confuse those who have come to know me as Christine Dougherty. 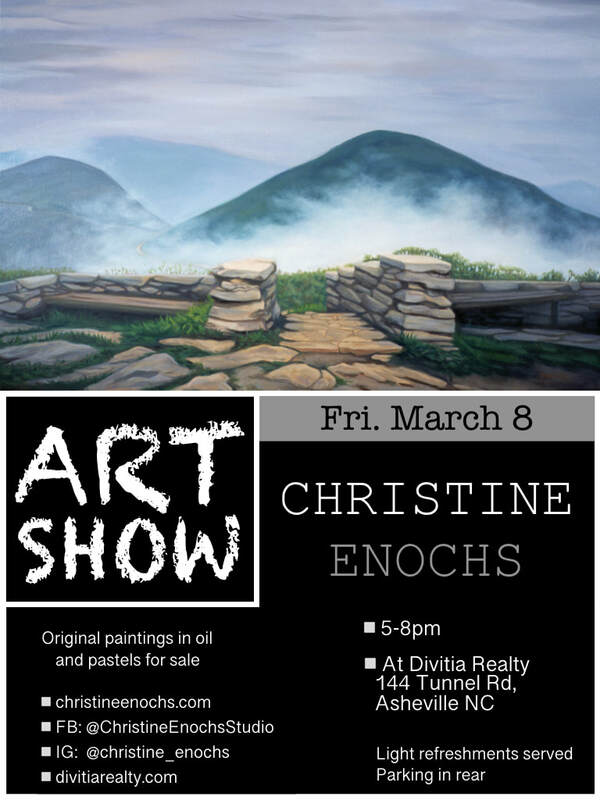 So I am in the process of changing all my marketing materials to be consistent with my current and forever name, Christine Enochs. Please bear with me, and feel free to give feedback. I'm certainly not the only one to have gone through this!